Five minutes in and you know Ally Sturm is going to be a tough interview. Not that she’s unpleasant or uncooperative; that isn’t the issue at all. It’s just that she won’t let you ask questions about her and her path to becoming one of the rising stars of the female sports broadcasting world. She’s too busy asking you about your life story. Sturm credits her Montessori education at Forest Bluff School for her inquiring nature and openness to see a situation from all angles. And that’s exactly what she has done, turning her love of finding (and telling) other people’s stories into a career as a sports broadcaster. 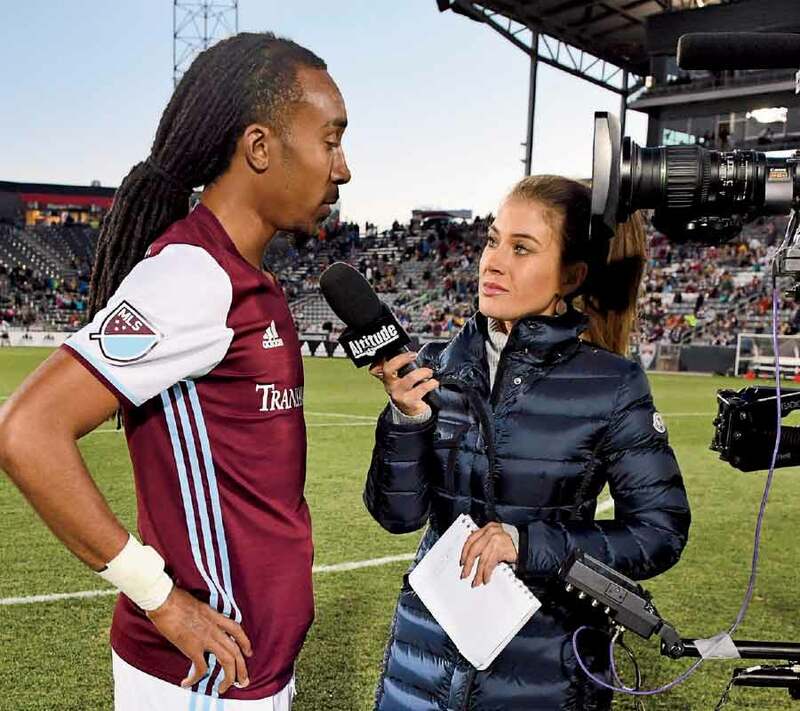 After in-game hosting for the Colorado Rockies, Colorado Rapids, and Colorado Mammoths as well as the ESPN X-games, Ally joined Fox Sports San Diego as the host of Padres POV, filling in as the sideline reporter for the MLB team from 2015–2016. Currently, Ally reports for the Denver Nuggets and Colorado Rapids full-time, covering both home and away games on Altitude TV. She also hosts the in-studio Air Force Falcons Report. How did she get there? Let’s just say it was a long and only slightly winding road. At Carmel, she began running varsity cross country to stay in shape for soccer, but the running soon moved to the top of her list—to the point where her coach once came to her father in the pickup line and said, “Did you know your daughter could run?” In the end, she was recruited to Pepperdine University, where she studied broadcast journalism and ran cross country during her freshman year. While Sturm is the first to admit that she was never “a sorority person,” she did leave her mark on her time there, instituting the Kappagram—a new tradition of having sorority sisters write a personal letter to someone to thank them for doing something positive. After graduation, she took jobs babysitting and tried to get her first break in broadcasting. She even got her real estate license for a while, following in the footsteps of real estate executive and entrepreneur mom Gail Sturm. “I did odds and ends jobs to pay the bills and then finally got a production assistant job full time. I was at Time Warner and they had a high school football package. The first thing I did was a high school football game … that was my first on-camera experience” Sturm explains. One of her big breaks came when one of the player’s wives, a former sports broadcaster, offered to introduce her to an executive producer. She auditioned, got the fill-in reporter job for the San Diego Padres, and the rest is history. 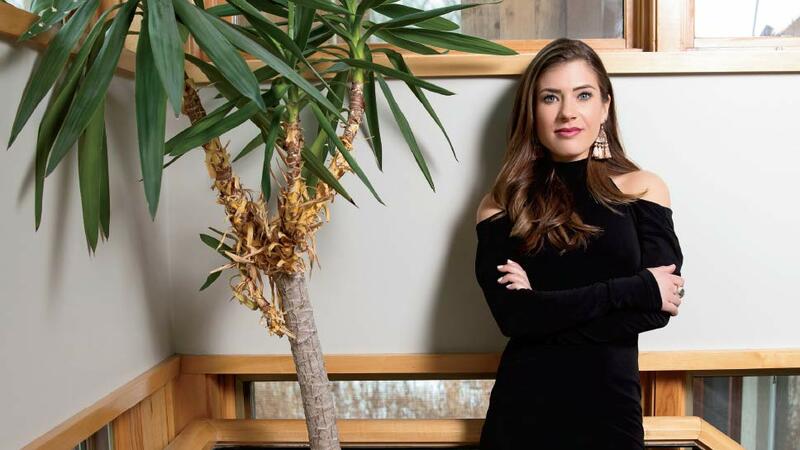 In addition to working on her career, Sturm travels as much as possible, continuing a love of exploring other cultures that was started when her parents began hosting foreign exchange students. At age 28, she has lived in both Rio Cuarto, Argentina, and Heidelberg, Germany for six-month spans. She has backpacked through Europe and has surfed the Gold Coast and now hikes the nearby Rocky Mountains whenever she can. She is thrilled with her life so far, and expresses gratitude to her parents and the upbringing she had in Lake Forest. Sturm also always has a higher goal in mind, one that goes beyond career aspirations. Wise words for such a young woman but you may not have time to compliment her. Knowing Ally, soon, it will be your turn to answer a question.